We met up with our Duggar relatives for a reunion on Saturday. Andrew couldn't come because he's busy with school already so I went with my mom. Dad couldn't come because he's still in Germany. My grandma and her brother Tom are the only two left out of five siblings. I really need to start interviewing them about their parents so that I can finish unraveling the mystery surrounding the O'Neal/Duggar kin. It was fun to get together with the family for food, fun, and socializing. The girls really took to my dad's cousin Ron—Miriam, who is shy and doesn't get friendly with strangers very fast, got down from her seat in the middle of dinner, walked over to Ron, and made him play bubbles with her. After dinner my uncles Chuck and Kevin set up for karaoke, but before we started singing, Uncle Tom made a few announcements and we sang our family song. We're a bit of a hillbilly family so it's written to the tune of the Beverly Hillbillies. a small two room house, well it kept us safe and warm. Our momma and our daddy did the very best they could. They tried to give us everything that a parent should. Grits that is, black-eyed peas, corn bread. They taught us how to sacrifice to work for what we earned. We'd overcome the obstacles that each of us would meet. Uphills, that is. Snow-covered. Both ways. Our daddy died when we were young and so we moved out west. We worked real hard at everything to be our very best. We're all grown up and married now and raisin' families. We'll keep us all together and pass on this legacy. Family, that is. Loyalty. Respect. I'm sure he'd like to thank us all for kindly droppin' in. 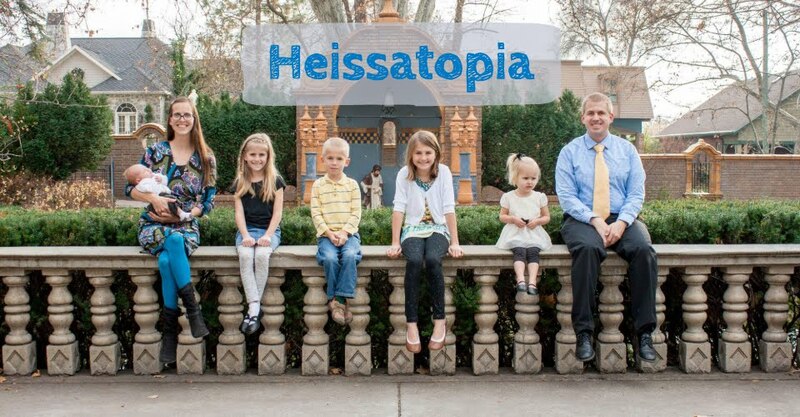 To have a heapin' helping of this family's company. Till next time, next year! I wish we still had a copy of the song my mom and I wrote for a Hancock reunion a few years back—twelve siblings, twelve verses. It was epic. Unfortunately I think we'd have to write it all over again if we wanted to sing it at any future reunions. Anyway, after we sang our family song we did karaoke. It was actually a lot of fun—more fun than I was expecting it to be. We had a lot of groups singing songs together—some of the men in the family sang I Am A Man of Constant Sorrow to go along with our annual hillbilly theme. Olivia and Sabrina wanted to sing both Mickey and Sing, Sing, Sing. They had quite a bit of help doing that, too. Annie, the youngest cousin in my generation, I believe, sang a bunch of songs, including a song from Joseph. Rachel really wanted to have a turn singing that Joseph, too, but her turn never came around. She was okay with that because she jumped in on a lot of other songs. Sabrina had fun playing with the camera. She probably got a lot of dorky pictures of me because it was aimed in my direction for a long time and I wasn't exactly modeling for her. Uncle David is leaving soon to do some graduate work in Leeds, England, so he was making sure to spend a lot of time playing around with his little nieces. Kelli was there with all over kids, which was nice because Olivia and Sabrina weren't able to make it to the Hancock reunion last month. Cousin Derrick was there with his motorcycle—Miriam couldn't get enough time on the seat. She kept trying to climb on it by herself, which made me really nervous that it would tip over. It never did. Kelli brought some sidewalk chalk for the little kids to colour with and Uncle Chuck got a little upset with the kids for colouring under the pavilion because, he said, it wasn't "going to rain for six days" and we had to clean it all up. About an hour after he made that statement a huge storm rolled in and poured on us, washing away all the chalk drawings, and making it nearly impossible to load up the cars. Josie and Marisa ran around dancing in the rain—they were even rolling around in big puddles—and it looked like so much fun that soon Rachel and Miriam joined in. I warned the girls about the end result—being cold and wet—and that we didn't have anything for them to change into, but it looked like too much fun to pass up on. By the time it finished raining they were soaked clear to the bone. I dug around in the diaper bag and found an extra shirt and pair of shorts for Miriam (that didn't match at all...but were at least dry). Rachel, however, was out of luck and ended up riding home wearing nothing but her underwear. I was a killjoy and chose not to play in the rain—I knew I didn't have an extra outfit to wear and also wasn't too keen on the idea of riding home wearing only my underwear. Go ahead, call me a prude. We ended up having a great time! Hopefully we'll be able to make it next year!